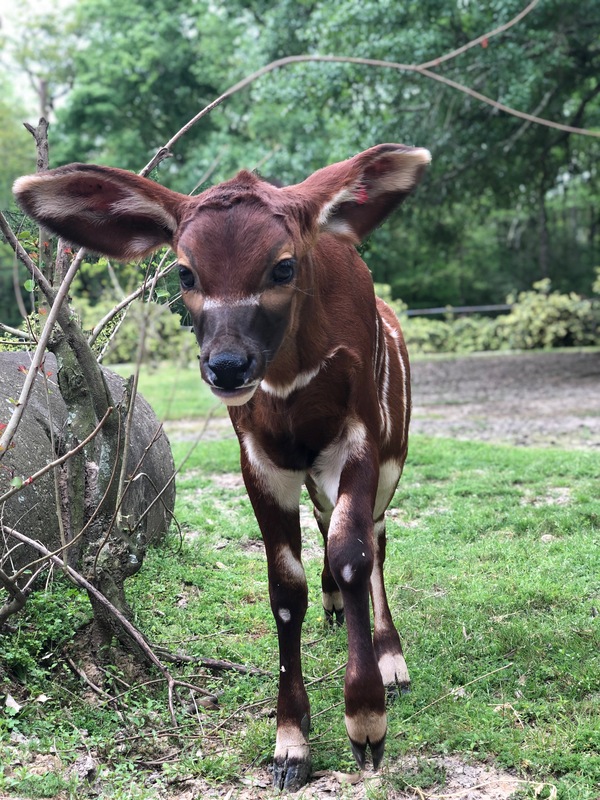 BREC’s Baton Rouge Zoo is thrilled to announce the birth of a female bongo, named Beignet. On February 24th, the bongo calf was born to a second time 5-year-old mother in the Zoo’s Africa loop. The gestation period for a bongo is around 9 months, typically with a single calf. Eastern bongos are classified as critically endangered African Antelopes & it is estimated that there are as few as 200 remaining in the wild.